Janet is a sweet and gracious 5 year old girl looking for her forever home! She lived in the same home as Brad – they could even be siblings, but they do not need to be adopted together. She should be fine in a house with another kitty similar to Brad’s personality. 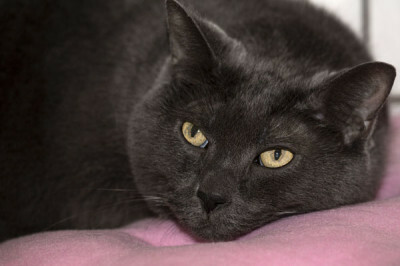 She has a gorgeous, soft grey coat that enjoys to be brushed. She has been previously declawed so definitely needs to be indoor only. 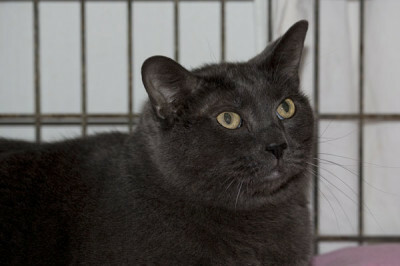 Janet would do best in a quiet home that is cat experienced and may be best as the only pet. Her mission in life is to love and be loved, taking her happy-go-lucky attitude with her at all times. She certainly qualifies as Miss Congeniality of the cat world! She will warm your heart by day and your bed by night. Aug 17, 2014 – Lucky Janet got a new chance at a forever home today. She is excited to join her new family, and start again as a treasured member of a loving family.